Ooma Voted No. 1, Again! Allow us to humble-brag for a moment. We’re proud to share that Ooma has been voted PCMag’s 2015 VoIP Business Choice winner for the second year in a row! 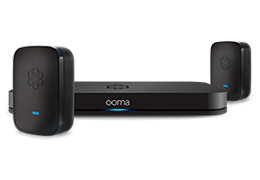 Ooma beat the competition receiving No. 1 scores for overall satisfaction, reliability, and likelihood to recommend. 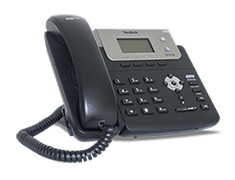 So if you’re considering upgrading your phone system, check out why Ooma is the most recommended and liked of all business VoIP systems. The ooma system was down on Saturday for hours and now it’s down again, Terrible service. Hi Gary. Sorry for the inconvenience. We were experiencing some outages but the service should be fully restored right now. Thanks for your patience. why is the phone not working again today????? Hi Gregory. We were experiencing some outages last week but all services should be fully restored right now. Sorry for the inconvenience and we appreciate your patience. Hi Jim! Please use this link to help you with porting: https://www.ooma.com/app/support/porting-your-phone-number-ooma . If you have any further questions- please call our Customer Support number at 866.452.6662. Monday-Friday 5am-5pm PST, Saturday-Sunday 8am-5pm PST. Easy to setup. Easy to use @ less than $5 per month with two numbers. I don’t know why anyone would have a normal landline @ ten times the cost per month. To the home owner/business owner, you would never know it was a Voip based service. Customer service has been stellar with follow-up and feedback options after using them. Very impressed with the MY OOMA Dashboard and the mobile app that lets you send and receive calls from anywhere. I can see why this is #1 and growing.